2014 has seen a flurry of private safe deposit centres opening in the UK – but why? We estimate that in 2014, at least 6 private safe deposits have opened across the UK. But what have been the drivers behind this growth? The provision of a safe deposit service used to be a staple service offered by most high street banks in the UK. 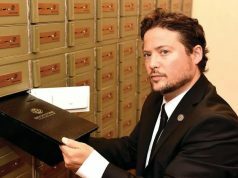 If you were an account holder you could also rent a safe deposit box or a space in the main vault of your local branch for a modest fee. However, times are changing and the high street banks are closing branches at the fastest rate for years. In February this year, Barclays announced 20 branch closures and in October, Lloyds announced they were closing 150 branches and this seems to be a continuing trend amongst all the main retail banks. These closures signal the decline of “face to face” banking and a clear move towards electronic banking. In amongst this streamlining of banking services, many of the big players such as Barclays have ceased to offer safe deposit services whilst others like HSBC and Natwest are happy to retain valuables for existing customers but are not offering safe custody to any new customers. Why have the banks decided to stop offering safe deposit services? The bottom line is that the banks do not view safe custody as a core service. 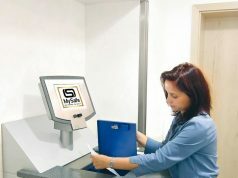 It is very costly to maintain and also creates the potential for reputational risk for the banks as there have been a number of cases of banks losing people’s valuables. Ironically, the demand for physical safekeeping of valuables has never been higher. The Asian community in particular have been targeted for the high quality gold jewellery which is traditionally passed down through families. Storing valuables in a safe deposit box not only offers complete peace of mind, but may also reduce home contents insurance. As the banks cease to offer safe custody services, this has presented an opportunity for a number of private safe deposit businesses which have opened for business in the last couple of years. This is clearly good news, as the general public are now presented with a viable alternative for the safe keeping of their valuables.